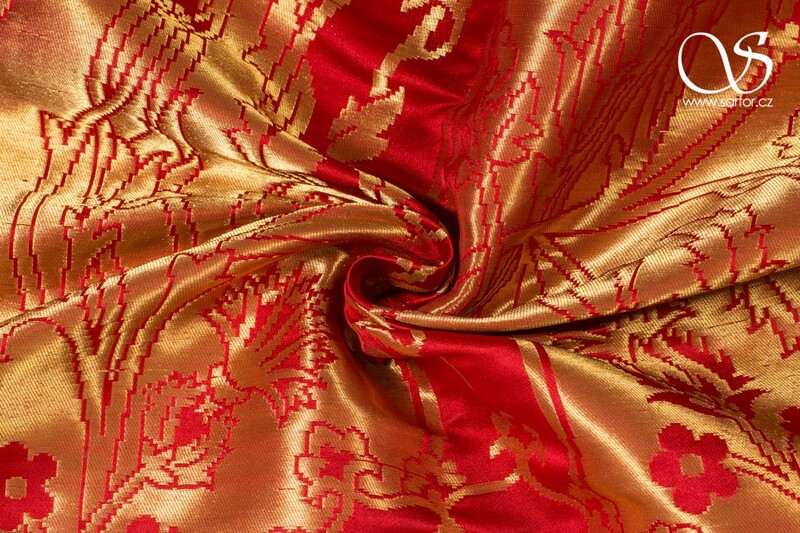 Colour 040 - ochre 047 - chocolate 050 - wine red 060 - crimson 065 - red 075 - yellow 160 - dark blue 165 - royal blue 220 - moss green 225 - green Defect type weave defects Fiber Content Warp - Silk / Weft - Rayon Silk / Rayon / Lurex Warp - Silk / Weft - Metallic Yarn Warp - Silk / Weft - Silk and Gold-plated Metallic Yarn 22% silk, 78% rayon 50% Silk, 50% Poylester 100% silk 100% polyester Flexibility Soft Gently flowing Pattern Repeat 3.5cm 4 cm 6.3 cm / 2.6" 9 cm | 3.5" 11 cm | 4.33" 18 cm | 7" 24 cm 28.5 cm 36 cm | 14" Period 8th–9th century 13th-14th century 14th century 15th century 16th century 17th century Weight ~ 50m/m | 220g/m2 (46-54m/m) ~ 30m/m | 130g/m2 (26-34m/m) ~ 55m/m | 240g/m2 ~ 40m/m | 175g/m2 (35-45m/m) 200 g/m2 Width 75 cm ± 5 cm | 30" ± 2" 107 cm | 42.1" 110 cm | 43" 112 cm | 44" 137 cm | 54" 140 cm | 55"
Reconstruction of a Chinese Brocade dating back to the 8th or 9th century AD. 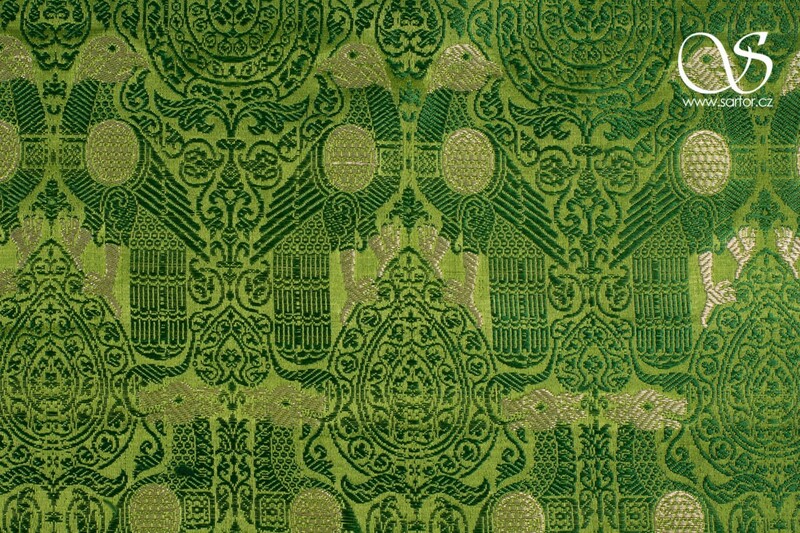 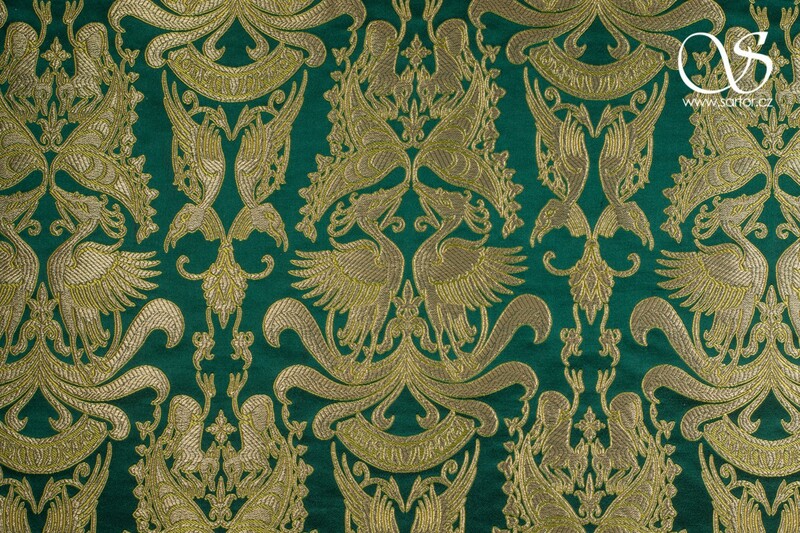 Replica in silk brocade drafted according to a famous Renaissance painting. 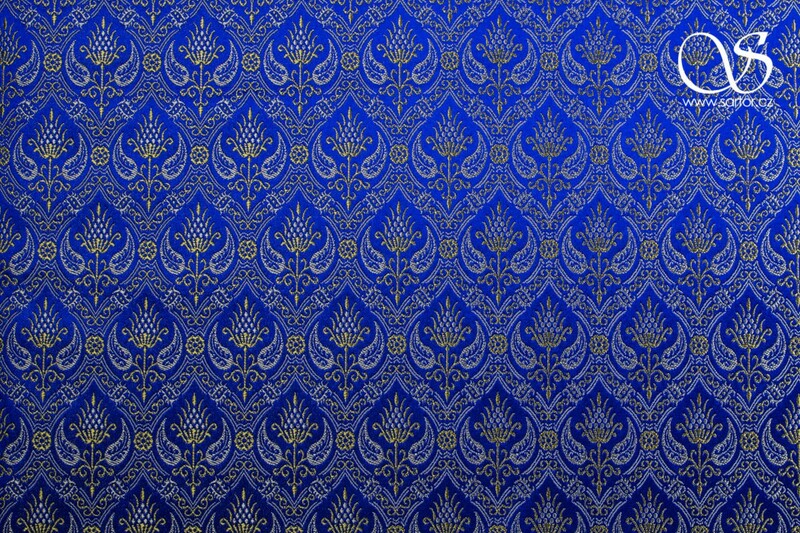 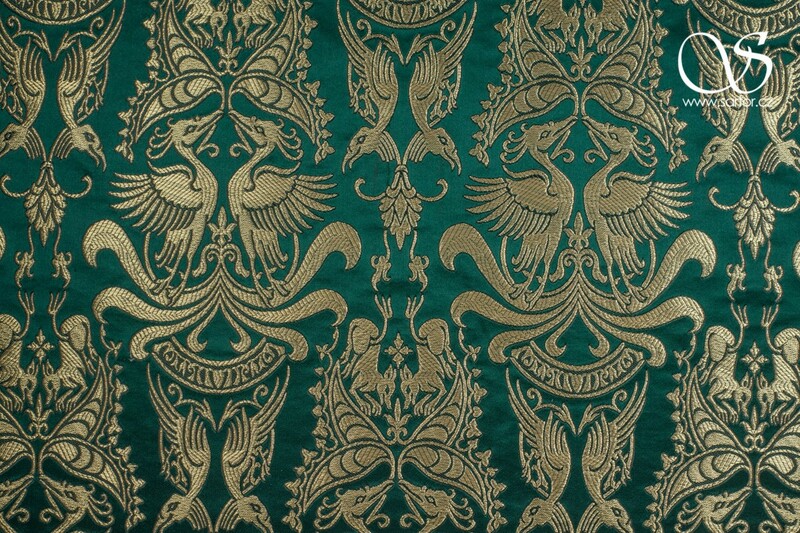 Our reconstruction of silk from the first half of 14th century. 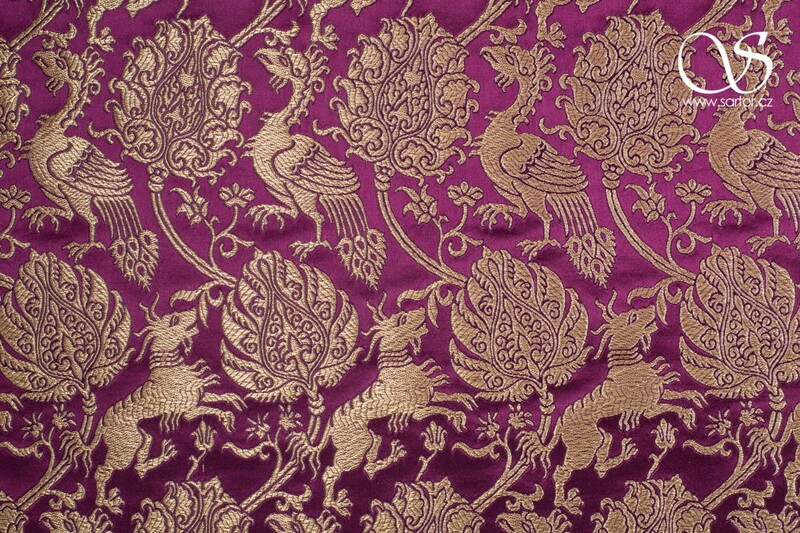 The original textile was woven in the red-violet colour with a golden pattern. 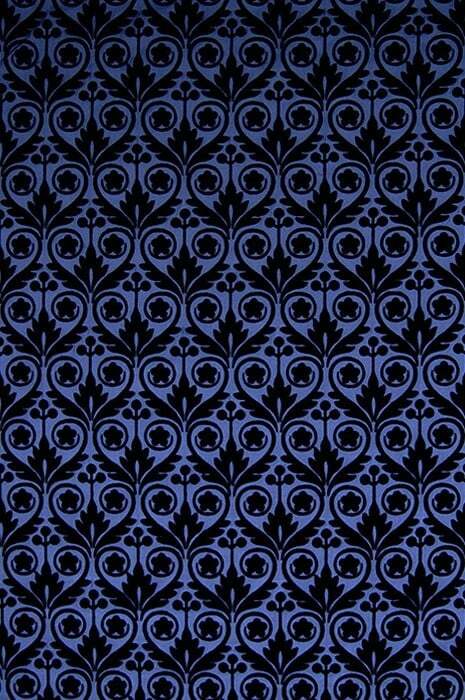 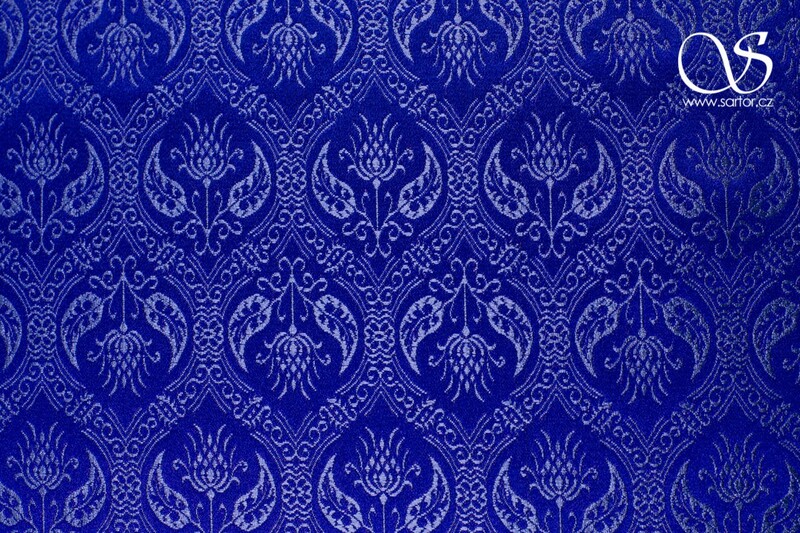 This is a replica of a spanish renaissance pattern from 16th century. 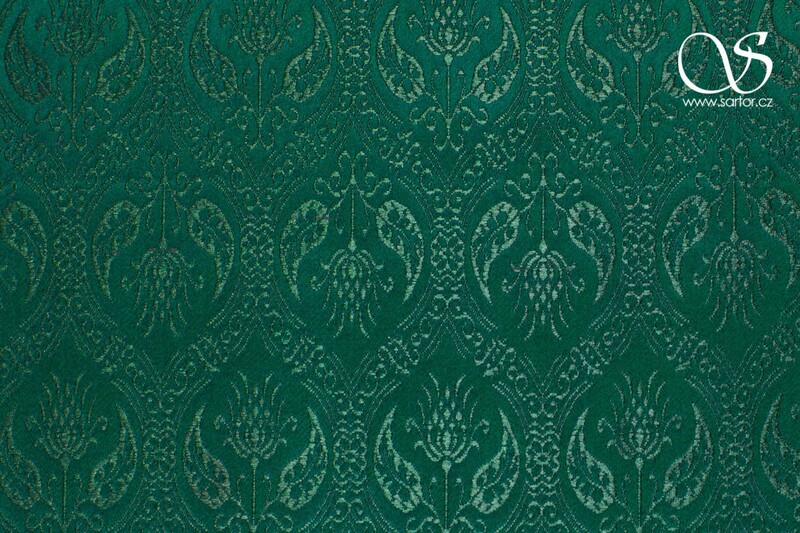 The original can be found in the museum "The Metropolitan Museum of Art" in New York . 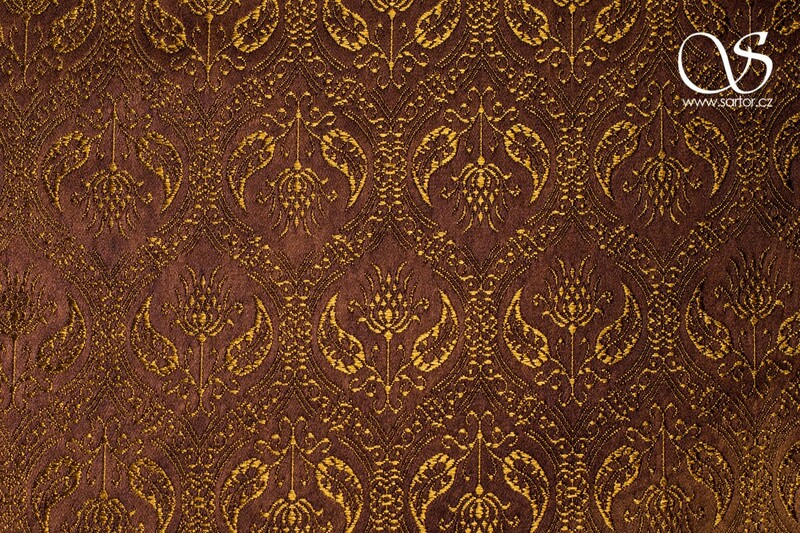 Replica of a Sicilian lampas from the turn of the 13th and 14th centuries. 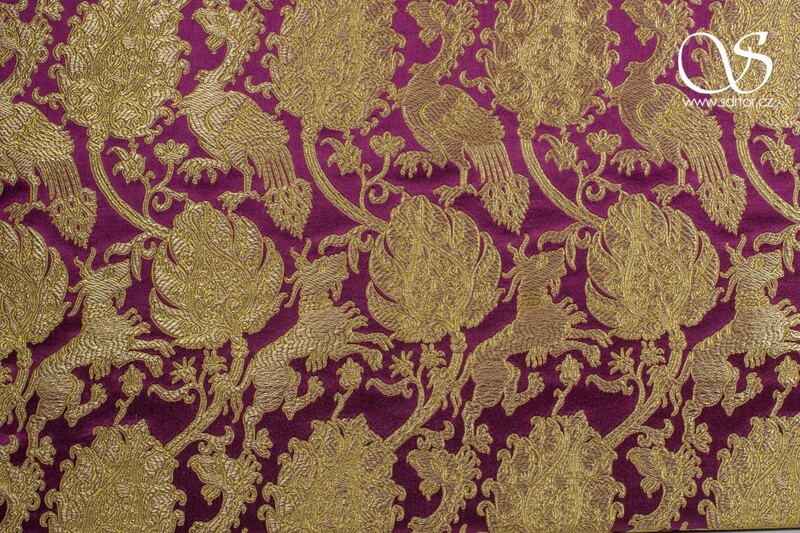 Brocade woven according to the alleged burial dalmatic of Charles IV, the King of Bohemia and later Holy Roman Emperor from the House of Luxembourg. 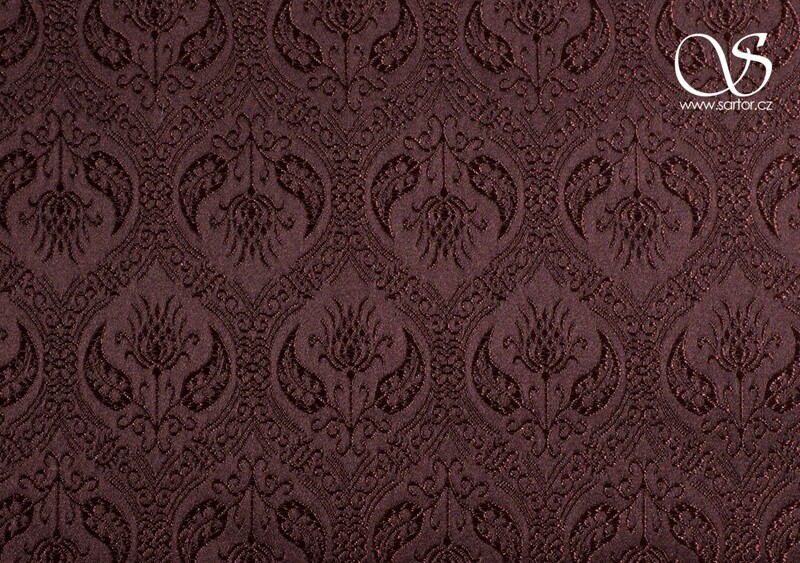 Our reconstruction of a Flemish Velvet from the turn of 17th century.